Discussing access to justice in the Robinson Superior Treaty area. 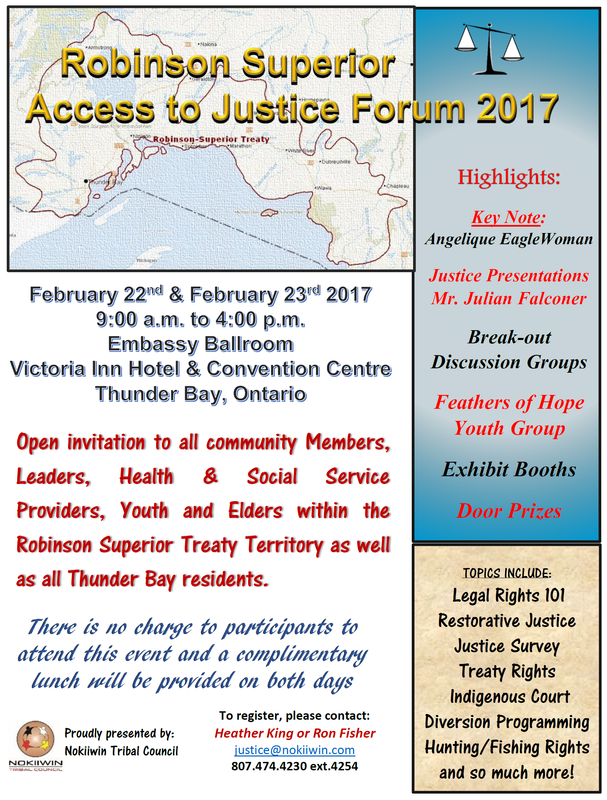 More information about the 2017 Access to Justice Forum will continue to be posted to this page. Nokiiwin Tribal Council held the first Access to Justice Forum on March 29 and 30, 2016. Over two days, Nokiiwin Tribal Council brought together experts and community members to share their thoughts on how to move forward in addressing the issues of access to justice in the Robinson Superior Treaty area. Download the final report from the 2016 forum.